The Tompkins County Workers’ Center handles between 80 and 100 cases of Wage Theft every year, and that’s scratching the surface of what’s going on just in our community. 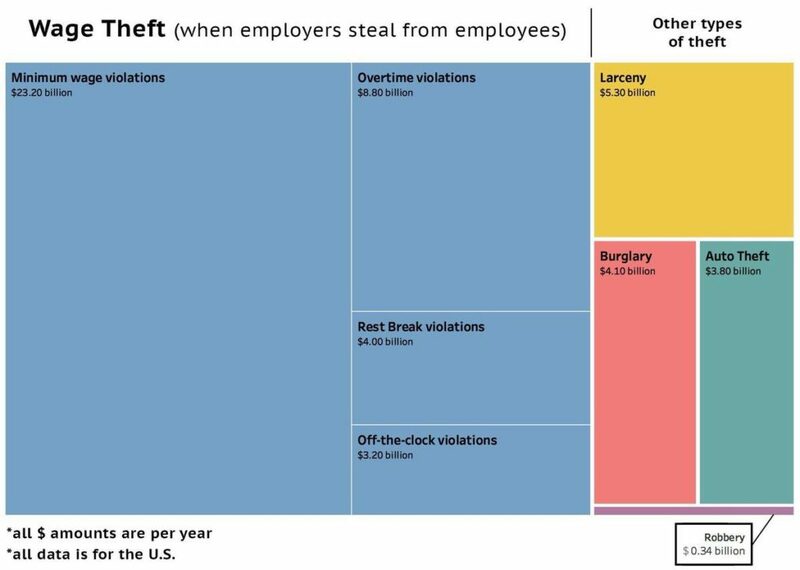 Employers steal more from their workers than the amount of dollars involved in bank robberies, burglaries, and all other thefts in the U.S. combined. TCWC has helped workers win Wage Theft judgments of more than $1.35 million, on top of organizing with workers to confront the wage theft in their workplaces directly. Join us in downtown Ithaca on Tuesday, February 5th, to learn more about how companies are finding new ways to exploit workers to reduce costs, including engaging in the age-old practice of wage theft. Hear about different ways to battle wage theft from workers’ rights advocates and scholars as well as local regulators. Representatives from the Manhattan District Attorney’s Office and the Tompkins County DA will discuss recent work to prosecute wage thieves on criminal charges. Time: 6 p.m. to 8 p.m. @ The First Unitarian Society of Ithaca, 306 N. Aurora Street (corner of N. Aurora and Buffalo Sts). This event is free, but registration is requested to facilitate room set-up and ensure adequate refreshments. To register please use the RSVP link. This event is being cosponsored by the Tompkins County Workers’ Center and the Worker Institute at Cornell ILR.